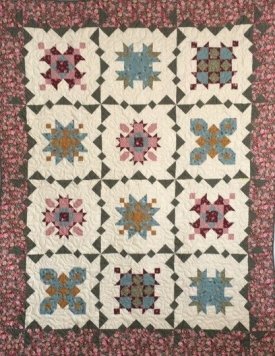 This 6 month program uses Windham Fabrics to create a beautiful 58" x76" quilt top. At just $24.99 per month you'll have a lot of fun working on this during any rainy summer days. Prefer a kit? Please call the shop at 440-716-8884 and we can put together a full kit for you too!